EB Expo 2012 lands in Sydney this Friday but before it hits, we’ve had a chance to talk with QV Software, distributor of Turtle Beach headsets and titles such as the Dead Island and Sniper series on what attendees can expect to see. This year’s exhibit will predominantly be focused on the Turtle Beach gaming headset line for PC, Xbox 360 and PlayStation 3. Many gamers would have been fortunate enough to experience the power of Turtle Beach through the Dead Island Collector’s Edition; with a pair of Turtle Beach bundled together. If you didn’t pick one up, well you’re in luck as the QV Software line-up this year will include headsets set up for guests to experience the sound quality first-hand. 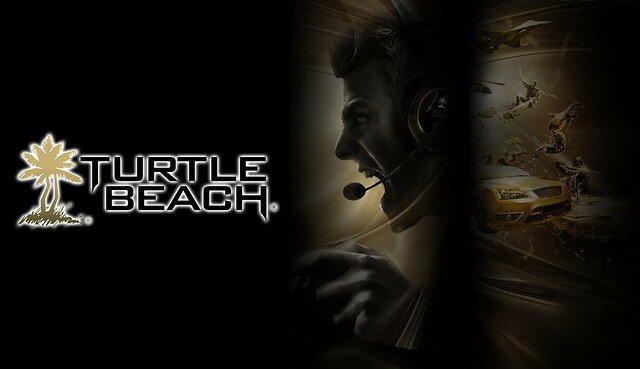 The Turtle Beach range on show include headsets from their Tournament Series (for pro-gamers), the La Series (which includes a Wii U headset exclusively designed and licensed by Nintendo), plus special edition headsets coinciding with the release of Call of Duty Black Ops II. Tournament series will feature gaming headsets specially designed for the pro gaming scene, as well as the TM1 – a tournament grade mixer which is able to link up to six headsets. It can also be daisy-chained to link twelve headsets together for communication between players. The already familar black and bright orange combination from Black Ops II translates beautifully into the cross-promoted Call of Duty: Black Ops II headsets; making for an instantly recognisable colour scheme come November when the highly anticipated FPS hits retail stores. Asides from the hands-on with the variety of headsets on display, Turtle Beach product specialist coming from the USA, along with other Turtle Beach experts will be on hand throughout the expo to answer all your questions about the product range. As this year’s exclusive headset sponsor of GameSpot AU booth and their close association with Activision and Call of Duty: Black Ops II, Turtle Beach will also feature in both these respective booth locations during the event. On the software side of things, the recently released Guild Wars 2 MMORPG will be on display, along with the upcoming Sniper 2. 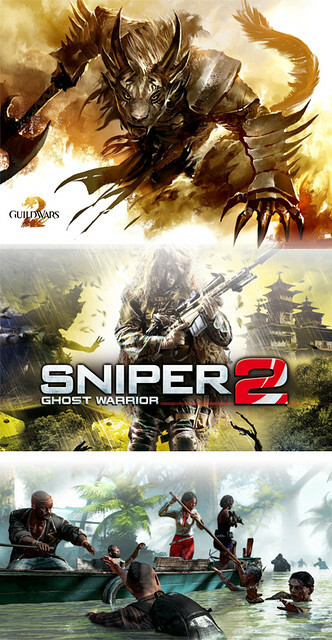 GameSpot AU will have gameplay footage to showcase of Sniper 2 on Sunday at their booth. Dead Island fans are catered for as new promo footage from the sequel, Dead Island Riptide will also be on show. Make sure to drop by and say hi to the friendly team at QV Software to find out more about their product range. EB Games Expo 2012 is held at the Sydney Showgrounds at Sydney Olympic Park from Friday October 5th through to Sunday October 7th. 2012. Tickets can be purchased at ebgames.com.au, in-store at any EB Games or alternatively at ticketek.com.au.